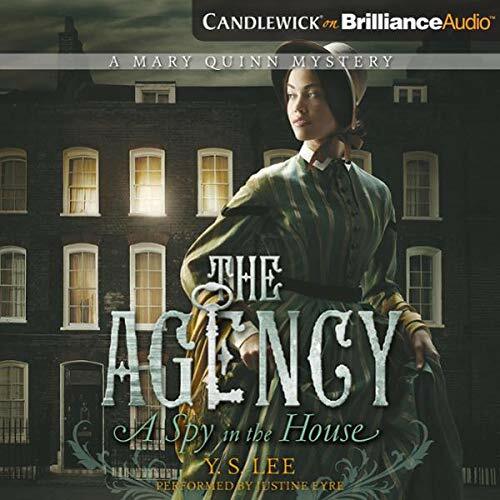 Now nearly a full-fledged member of the Agency, the all-female detective unit operating out of Miss Scrimshaw’s Academy for Girls, Mary Quinn is back for another action-packed adventure. 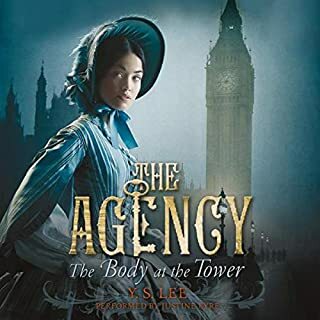 Disguised as a poor apprentice builder and a boy, she must brave the grimy underbelly of Victorian London - as well as childhood memories of fear, hunger, and constant want - to unmask the identity of a murderer. Totally fun, not just for young adults! In Victorian England, orphan Mary Quinn lives on the edge. Sentenced as a thief at the age of 12, she’s rescued from the gallows by a woman posing as a prison warden. In her new home, Miss Scrimshaw’s Academy for Girls, Mary acquires a singular education, fine manners, and a surprising opportunity. The school is a cover for the Agency — an elite, top secret corps of female investigators with a reputation for results — and at 17, Mary’s about to join their ranks. 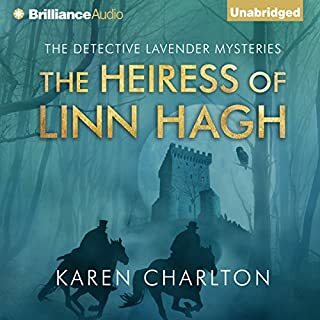 With London all but paralyzed by a noxious heat wave, Mary must work fast in the guise of lady’s companion to infiltrate a rich merchant’s home with hopes of tracing his missing cargo ships. But the Thorold household is full of dangerous secrets, and people are not what they seem - least of all Mary. ©2010 Y.S. Lee (P)2010 Brilliance Audio, Inc. 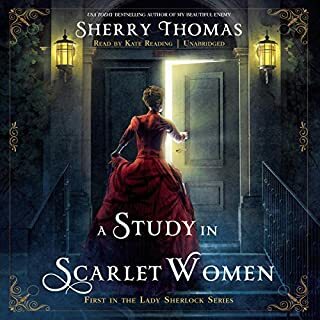 Despite a bit of far-fetchedness in the plot wind-up, this holds its own against most in the light subgenre, "Victorian-woman-sleuth, no bodice ripping nor rake-to-be-reformed." A narrator with a more credible(?) Brit accent would have made it a better listen. I give it an extra star for being rated G (even many adults appreciate that!) and capturing the traffic and sewage flow problems of Victorian London. I think it would be a fun listen to share with a daughter or neice (or mother or aunt...) and its content doesn't exclude male listeners either. I really enjoyed this one. This is the first in the Mary Quinn series, and I'm sure it won't be my last. Y.S. Lee does a really good job balancing mystery and suspense with action. I listened to this one almost nonstop because I didn't want to leave it. 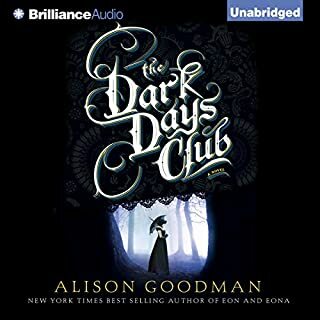 Justine Eyre's voice couldn't have been a better choice for this audiobook. She has a smooth voice that handles the voices of other characters well without losing the smooth quality that makes you want to get a cup of tea, sit down in your favorite chair, and relax while you listen. Just don't think you can go to sleep to this book because there's too much excitement going on at any given moment. There are a few places (I remember three) where inappropriate language was used. I don't understand why that was considered necessary by the author, but there isn't much of it, so it didn't ruin the book for me. Overall, if you enjoy period novels, mysteries, suspense, or action/adventure novels, you'll like this one. I'm planning on acquiring the next book in this series, myself. This is a young-adult mystery with a splash of romance, set in 19th-century London. (You should definitely consider it YA, not a "kid's book" -- tons of references to prostitution, opium, extramarital affairs, etc.) 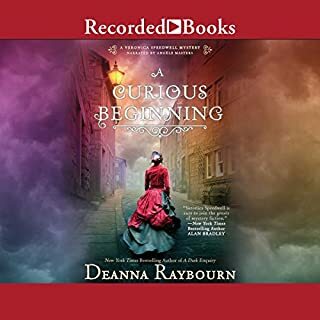 It's perfectly decent listening, but I didn't find myself especially wrapped up in either the characters or the story, and the period details/language weren't very persuasive. The reader, too, was simply fine. Not something that lingers in your mind. I like to think that if I lived in this time period I would be just like this girl. Tough, brave and funny. I really loved the relationship between the characters. This is one of the best listens I've ever downloaded from Audible. Although technically a young adult book, I was immediately hooked on it, and luckily there is an equally fantastic sequel! 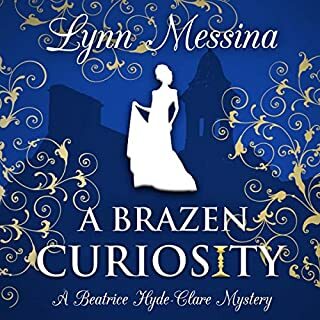 The book has a funny and feisty heroine, a lot of great historical background, an intricate mystery plot that will keep you guessing, and a splash of delightful romance. The narrator is fabulous as well. You can't go wrong! A great listen. Perfect length. Tricky enough to remain unpredictable. Looking forward to reading number 2 ! A Wonderful Story at an affordable price! What made the experience of listening to A Spy in the House the most enjoyable? This story was very well written. Lee was able to pull the listener into 19th century London effortlessly, making the setting an intricate, seamless part of the plot. Mary, the main character was likable and there's a wide variety of side characters who kept me entertained. I immediately bought book 2 in the series after finishing this one. The heroine was resilient and strong. A wonderful girl who you just cared about. The mystery of it all kept me thinking about the book even when I wasn't listening. I would strongly recommend this book for ages 13+. It does deal with serious issues, like the state of London for the poor in this time period. It dealt with hunger and death without being too overwhelming, but parents may want to listen before their children.